Enjoying a Big Bus Tour & #BML17 experiences! 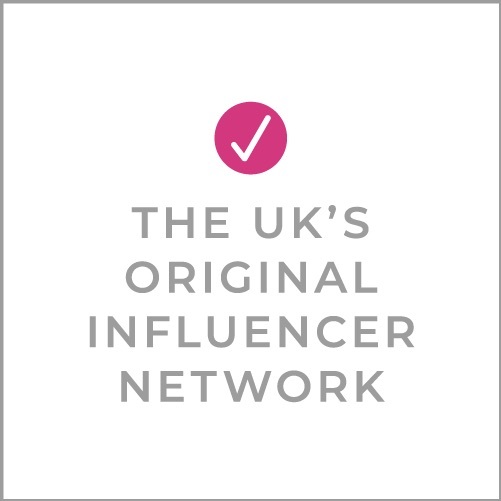 Britmums Live this year (#BML17) saw us working with a new venue, adopting a new format and providing a fresh new feel to the established blogging and social influencer event. Through working with our #BML17 sponsors, we were able to offer exciting experiences to the blogger delegates over the weekend, and one of these was the Big Bus Tour of London! 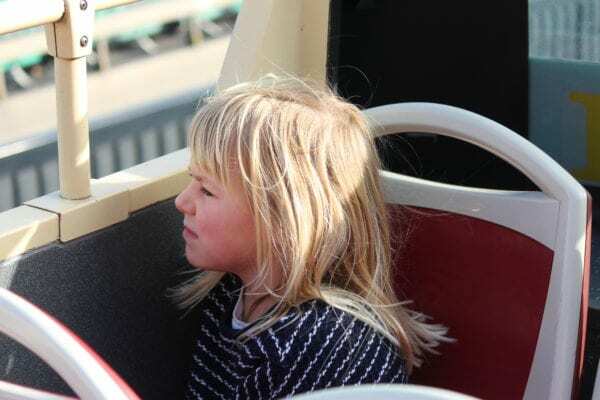 We sent our Family Days Out Round-Up Editor, Kara onto the Big Bus Tour with her family to try out some of the #BML17 experiences with her kids and report back for our blog. Here’s how they got on..
We are fairly frequent visitors to London but always have an itinerary of places to visit and times to arrive so always catch the tube or go by foot. Catching a Big Bus Tour bus was easy, we simply exchanged our tickets at a stand at Waterloo Station, picked up a map and hopped on the bus in the direction we wanted to travel. The kids wanted to sit on the top deck of the bus and it offered a wonderful vantage point over the city as we drove around, allowing us to appreciate the art and architecture that we never would have noticed had we been on foot. 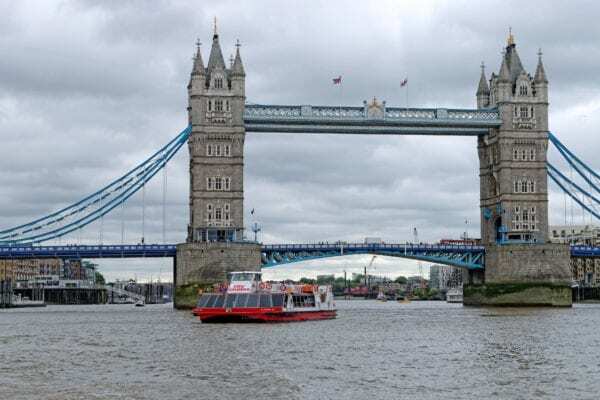 The hop-on, hop-off tours allow you to explore the best of London at your own pace, and with more than 50 stops across 3 different routes, you have plenty of opportunities to hop off the bus and explore the London landmarks and attractions that appeal to you most. You can choose to wear headphones for a commentary along the way, or just sit and appreciate the sights as you drive past. As Eliza was doing a project on the Great Fire of London for school, we decided to head towards the Monument, a Doric column near the northern end of London Bridge topped by a drum and a copper urn from which flames emerge, commemorating the Great Fire of London. If you visit London I highly recommend you climb the 311 steps to the top as the views are simply stunning. From the Monument and Pudding Lane we walked to Tower Bridge, where we enjoyed the Tower Bridge exhibition and walking over the glass floor, 42m over the River Thames. From Tower Bridge you can either catch the Big Bus Tour behind the Tower of London, or your ticket allows you to head back along the Thames towards the South Bank aboard a City Cruise boat, which offers another great vantage point over the city of London including great views of Tower Bridge, London Bridge and the Globe Theatre. Once back, we gave the choice of riding the London Eye or visiting the Sealife London Aquarium or Shrek’s Adventure. They chose Shrek’s Adventure which is a brilliantly bonkers interactive and immersive walk through experience. The journey begins when you board the DreamWorks Tours magical flying 4D bus to Far Far Away, only there was a slight mishap and we accidentally killed one of Rumpelstiltskin’s favourite witches. We had to visit many of our favourite characters from Shrek, including Cinderella in Shrek’s swamp, Puss in Boots, Pinocchio and the Gingerbread Man in order to collect the special ingredients that we needed in order to find Shrek and make it back home safely! 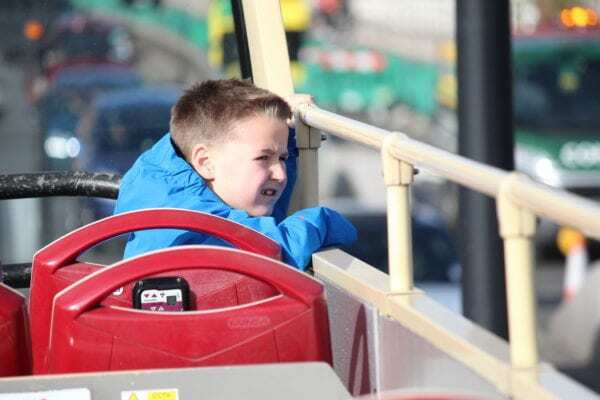 Shrek’s Adventure takes around two hours to complete so we had some time to spare, so we hopped back on the Big Bus Tour and headed west past the Houses of Parliament, Westminster Abbey and Buckingham Palace to see if the Queen was at home. I highly recommend taking the Big Bus Tour in London, it is a great way to see the city and learn some fun facts along the way. Kara is a busy mother of 6 children aged between 2 and 22 and lives in Dorset. The family love to be outside and live by the motto “Collect Moments, Not Things”. We can often be found leaping in muddy puddles, climbing trees, collecting seashells or hurling ourselves off cliffs down ziplines, and all for fun of course. Kara loves to blog about her and the family’s adventures and can be found at Chelseamamma.co.uk, arewenearlythereyet.eu and sharing videos of her days out on her YouTube channel. She can also be found on Twitter, Facebook, Instagram, G+, Vine and Pinterest.